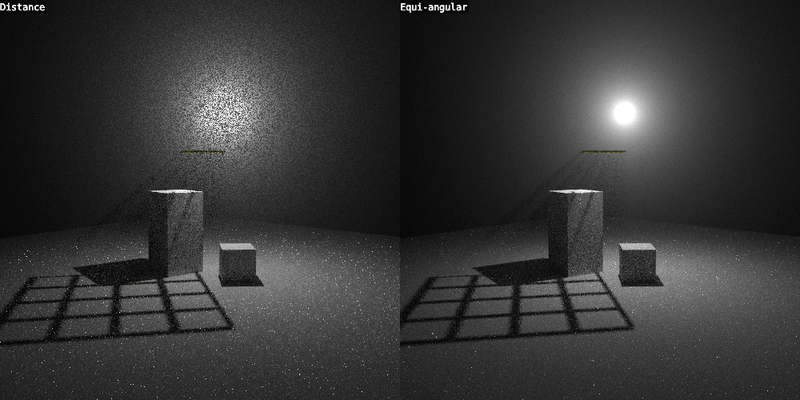 This adds an option in the Volume Sampling panel, which helps rendering lamps inside or near volumes with less noise. It can also increase noise though and needs improvements to support MIS and heterogeneous volumes, but since it’s useful in some cases already (especially world volumes) it’s there now. Based on the code in the old branch by Stuart, with modifications by Thomas and Brecht.